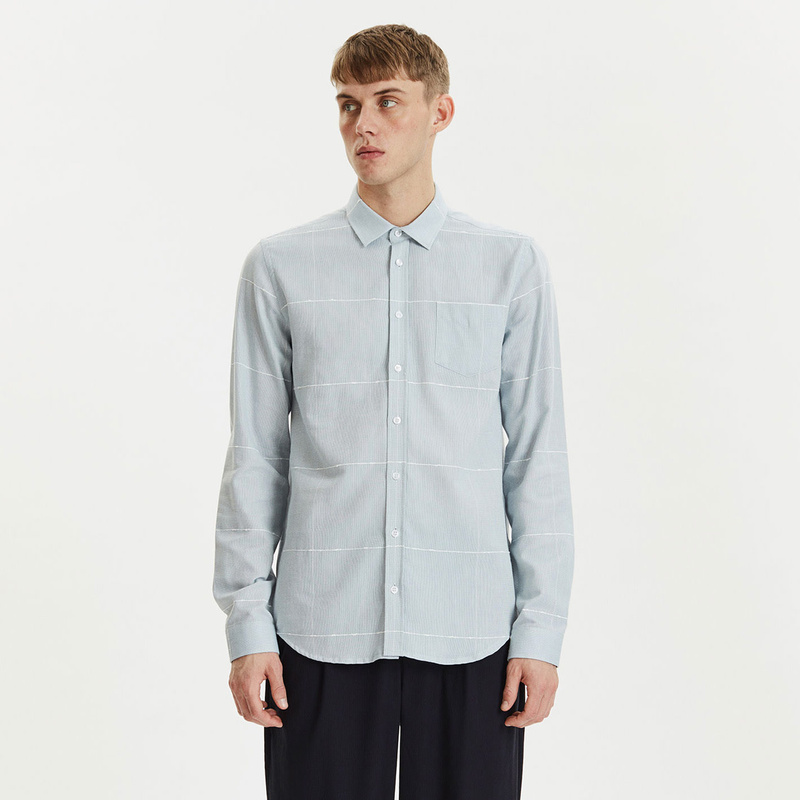 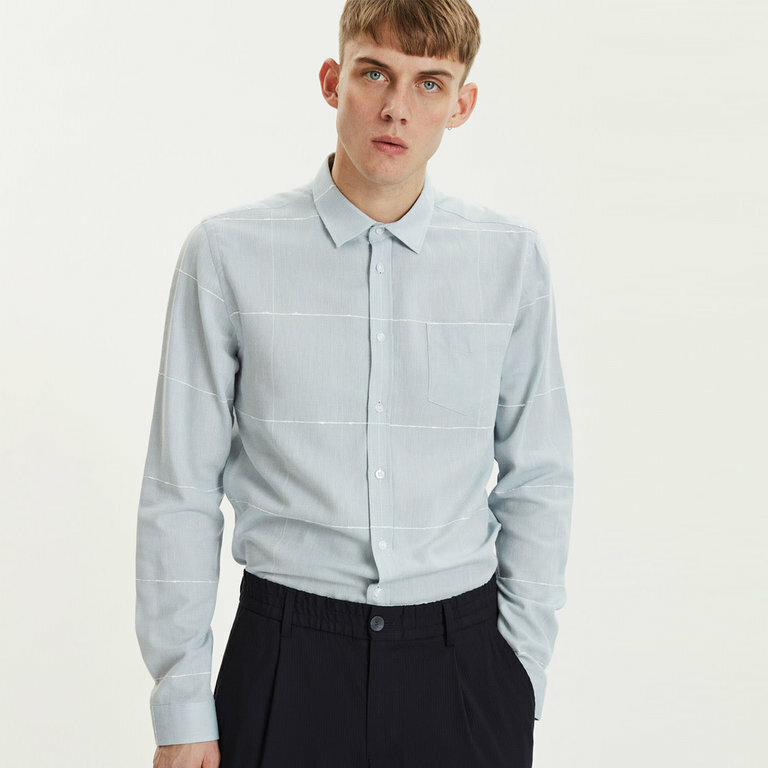 The Libertine-Libertine Lynch Shirt Sky Blue features a regular collar and is made from an oxford cotton with a flannel check detail in sky blue. This one has a weighty feel, is cut for a regular fit. The Libertine-Libertine Lynch Shirt Sky Blue features a regular collar and is made from an oxford cotton with a flannel check detail in sky blue. 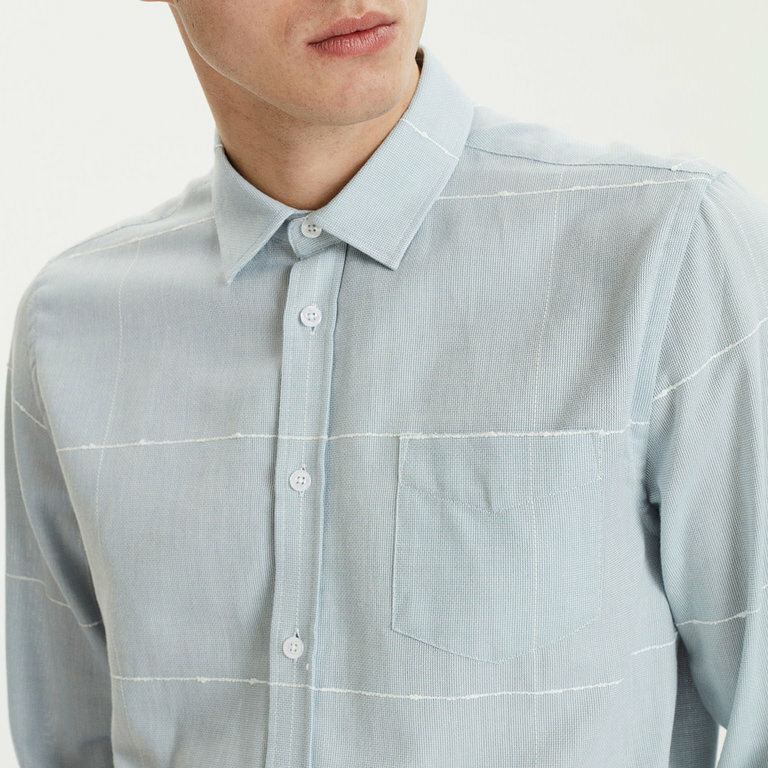 This one has a weighty feel, is cut for a regular fit and finished with white logo buttons.